‘MODERN SUSHI SET’ will be exactly what you want!! 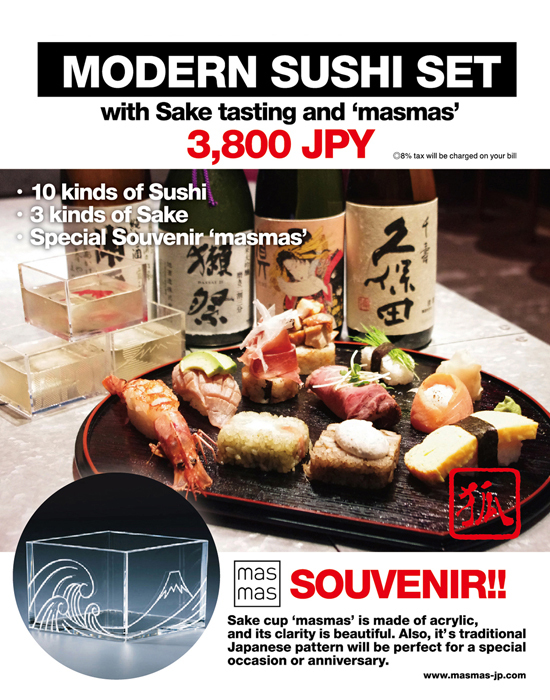 We will strongly recommend this menu to you so that you can experience variety of Sushi, great quality of SAKE, and great time with SAKE CUP ‘masmas’ as a souvenir! Hope to see you soon at KITSUNE.